SEO or search engine optimization is a discipline which involves applying a series of techniques on a website in order to improve its position in search engines, it is very useful within an Inbound Marketing strategy. The goal of SEO is to make a website appear as high as possible in the search results, in order to attract more visitors and thus increase the conversion possibilities. SEO positions the website among organic results, that is, we can not pay the search engine to improve our positioning. In contrast, SEM positions the web through paid ads in search engines. Although there are many search engines worldwide, in our country Google is clearly the king. Therefore, when we talk about SEO, in general we refer to positioning a website on Google. Within an incoming strategy, SEO techniques help us create a qualified long-term traffic channel. Once these users have reached our website, we can use different strategies to capture them and make them become potential customers. If your website is your store, SEO is equivalent to putting a showcase, and this results in visits. For example, if you manage to position your website in the first place for a keyword with 100,000 searches per month, and the first result takes 20% of the clicks, you will have 20,000 more monthly visits. Through SEO techniques, we attract visitors to our website, so it is a very interesting tool to start our inbound marketing processes and turn these visitors into leads and customers. Optimizing a website for search engines requires time and effort, but let's keep in mind that it is a source of long-term results. Once you have managed to position the website, you will have a constant source of visits without additional costs. The web positioning techniques are designed to improve the user experience and the quality of the contents. If you apply them correctly, not only will you be able to position higher in the search engines, but also improve the results of your website in general. In general, users rely on Google algorithms to distinguish which pages are of the highest quality and contain the information they seek. Therefore, if your website appears among the first results, they will tend to trust your brand more, and you will have an easier time converting them. There are two fundamental distinctions we have to make to differentiate the types of SEO: on one hand, SEO on page versus SEO off page, and on the other, SEO white hat and SEO black hat. The SEO on page is, as its name suggests, the one that focuses on improving the website itself through the optimization of its internal elements: content, titles, descriptions, loading times, etc For the search engines, SEO on page improves the relevance of a webpage, that is, its correspondence with a specific search or searches. It can also attract users thanks to the content that is displayed on the Google results pages (title and description of the page). In addition, by improving the structure of the website and its content, SEO on page can facilitate the user experience. The SEO off page focuses on external factors and aims to determine the authority or popularity of a website. Within the elements of SEO off page we can find links to a website, presence in social networks, mentions in media, or the ratio of users who click when it appears in the search results. In summary, we can think of the SEO off page as the "public relations" of our page. The SEO white hat is based on techniques that comply with the guidelines of search engines and that aim to position the web in an ethical manner. In general, the "white hat" techniques result in higher quality websites and improve the user experience. In contrast, SEO black hat seeks to bypass the rules to achieve rapid results in a short time, for example, including hidden content on the web or spamming links in forums and blogs. Although sometimes you can get a quick jump in positioning, in the long term it is very risky and it also does not add value to the brand or the user, so we do not recommend it. Selection of keywords: the keywords are those concepts for which we seek to position our website. Therefore, a good SEO strategy is based on studying which concepts are the most searched within our field and how to include them in our website so that Google detects them. Web optimization: websites that often breakdown or are poorly optimized for mobile devices and have excessive loading times, these are two of SEO's biggest enemies. To be able to position correctly in search engines, it is necessary to make a tuning of the web from the technical point of view. Choosing friendly URLs: the URLs or links of the different pages within a website are a key aspect of their positioning. Ideally, they should be as simple as possible and contain the keywords that we seek to position. Creation of quality content: search engines like pages which are useful to users. Having well organized quality content and frequent updates will help us improve SEO. Link building: refers to including techniques designed to generate inbound links to our webpage from other sites. We will always seek to get links from quality sites, avoid spam and take care of details such as the text of the link and the type of relationship established with our page (follow or nofollow). 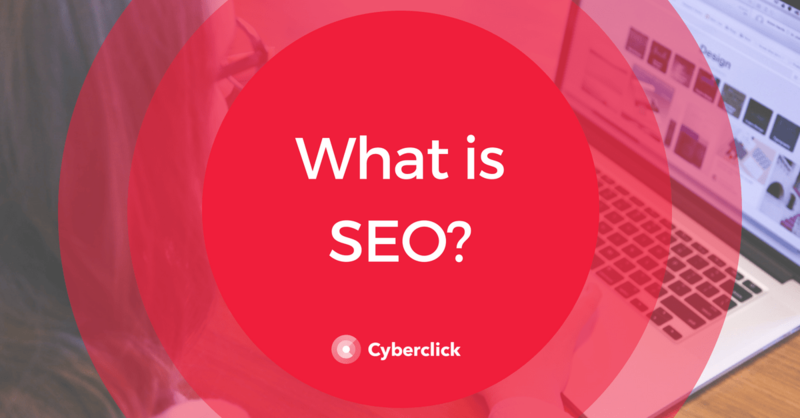 We hope this information helps you to learn a little more about what SEO is and how you can improve your search engine positioning to reinforce your inbound marketing strategy and the results of your brand in the medium and long term. If you want to start with your SEO strategy or optimize your positioning results, at Cyberclick we have a lot to offer. We will be happy to be part of your team to help you attract more traffic to your website. How can we help you with your SEO?